South Africa is often called "Rainbownation". This is true even in our modern very flexible world. Many people are moving everywhere, so in almost every nation there are smaller or bigger communities of foreigners, making life somewhat colorful. In South Africa there are 11 national languages, which means, life is not colorful simply because of foreign communities but also because of very different indigenous or native peoples. Even in all that variety of languages and cultures within one nation, there are people groups that are foreign but so much established that they have become native. One of these groups is the Cape Malay. Their history starts with the Dutch. Jan van Riebeeck led on 6 April 1652 the first ships of Dutchmen to the shores of the Cape. He founded the much requested post to support the sea route to India. The Dutch made war against the indigenous people - the Khoi - then called the Hottentots. The post grew very fast, so there were many workers needed. Because of their worldwide trade, the Dutch collected workers from other parts of the world. The first ship loaded with workers from Asia already arrived by 1654 at the Cape. In the following years many more workers were imported. They were brought from Java, India and Madagascar. They were mostly skilled workers. Nevertheless most of them had been kept in slavery from the first days. The origin of the Cape Malays is Indonesia. On one hand, they got mixed with the population at the Cape and on the other they lost over the 300 years of history at the Cape the cultural contact to their homelands. Some words in their Afrikaans vocabulary are of Malay origin. Their name, "Cape Malay" is not fully correct, since the Cape Malay not all have their ancestors in Java-Malaysia. Therefore some prefer the name "Cape Muslims." At the Cape all the people groups are more or less mixed and racially not exactly distinguished. The Cape Malay, however, are looked at as one of the clearest distinguishable racial groups at the Cape. Their religion was not from the beginning mere Islam. Islam had just started to take roots in Indonesia when the first slaves were taken from there. But since Islam was introduced in Indonesia as a way of protest against the colonial powers, Islamic leaders from Indonesia were brought to the Cape for imprisonment. They taught their fellow country men a lot about Islam and helped to spread it at the Cape. The Dutch Reformed church at first did not see the need for the indigenous people and the slaves to know about Jesus Christ. In fact, since that church was made up of colonialists, they built in their theology quite a bit of justification of their dealings with indigenous people and slaves. In the 18th century a law was issued that Christian slaves could not be traded. That even fostered the idea that slaves should not be evangelized. They would lose worth for the owner and the trader. Slavery was officially ended by law in1829 and in 1839 Cape Town was established as city with municipal government. The official end of slavery led to the foundation of the BoKaap as the home area for the Cape Malay. The homeland for the Cape Malay is still the Cape and Cape Town. There is a relatively small group of them living in the Gauteng area and Johannesburg. In Cape Town the BoKaap is the historical and cultural centre of the Cape Malays. Their colorful little houses are known world wide and so it has become lucrative for the Cape Malay to sell their houses and buy much bigger ones in other parts of the city. Even before this development, the number of Cape Malays was much higher than there was living space in the BoKaap. So for finding a place to stay and being closer to the working place people had to move all over Cape Town. Due to Apartheid laws there have been certain areas designated for each people group. Meanwhile all the classical areas are so much infiltrated by other people groups that from the outside one can only recognize a somewhat higher concentration in the respective areas. 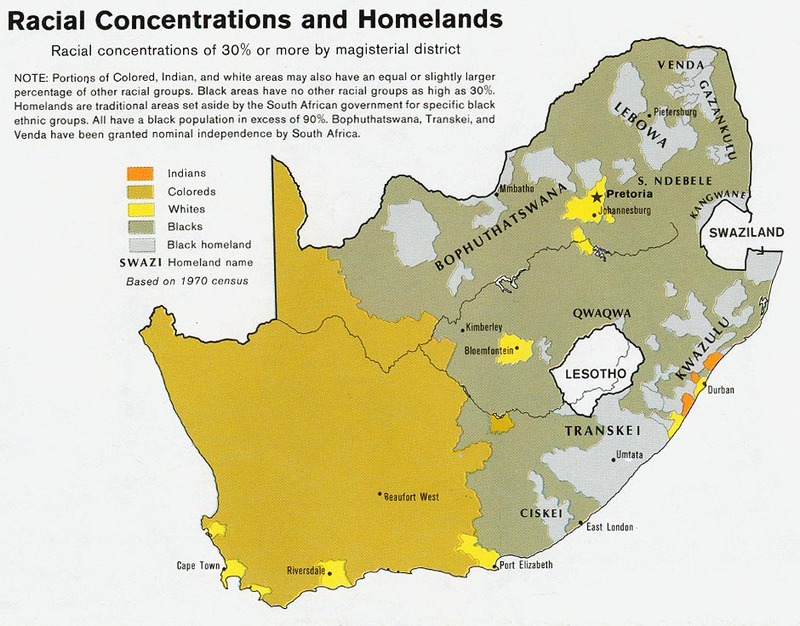 During Apartheid years, the Coloreds had a somewhat middle position between the blacks and the whites in South Africa. They were involved in minor leadership positions and in all kinds of crafts. Since the end of apartheid laws, there is full freedom to follow any profession or run any business. So basically you can find Cape Malays in all levels of present day South African society. In politics the Muslims are over-represented compared to their share in the population. The perception of being overpowered for centuries might have created a strong desire to take over control. Since the ancestors arrived as skilled workers, to this day they follow great traditions of building and tailoring. Also their cuisine came to great fame. In the last years young people also went to university and became established in higher positions in business or teaching. There is a high percentage of poor Cape Malays. Even considering the strong family bonds that reach far beyond the inner circle of family, there is not much support of the poorer by the richer Cape Malays. As in any society, as soon as success leads to greater possessions, the support of the less successful family members falls short. The Cape Malay define themselves as Muslims. If any family member comes to know Jesus, he fails being a Cape Malay. So being a Muslim is part of their identity. Taking history in account, we must consider that Muslims from the very beginning experienced Christianity in a context of power. This is true for the Roman Empire but is still so in the more modern days of colonialism. The colonial forces like the Dutch East India Company (DEIC) used missionary efforts mainly to establish their economic and political or military power. The theology of those days even justified the slavery of non-Christians because of their "god-imposed" inferiority. These actions and attitudes have influenced the perceptions of Christians in the eyes of Muslims. From the beginning Muslims at the Cape have not had the right to adhere to their religion openly. They were not allowed to build mosques and sometimes not even allowed to meet for their prayer ritual in larger groups. Islam at the Cape is strongly influenced by Islamic teachers from Java, who were brought there as detainees for their revolutionary activities in Java against the Dutch. Therefore Islam at the Cape is very sufistic. One can see that by the many "Kramats." These are shrines of the Islamic teachers, who are worshipped there. The people expect healing and other blessings for bringing gifts and doing ritualistic prayers at the Kramats. At the same time, Cape Malays manage to have a strong Sunni emphasis. There are many Koran schools and basically all the children are taught the Koran until they reach ceremonial adulthood. So there is no homogeneous picture of Islam at the Cape, even among the Cape Malay. Some of them are very well trained and know Arabic fluently. Others just know their family traditions. In order to reach them, one has to listen closely at first in order to discern what kind of a Muslim one is talking to. The Cape Malay have much Christian literature and the Bible translated in different versions for their primary languages. They are surrounded by many Christians so that they can see Christian life in their daily life, theoretically. In fact, life is very much sorted amongst people groups in South Africa. Everybody is very busy with their own friends and their own family, so that the different people groups do see each other, but don't take part in each others lives. * Scripture Prayers for the Malay, Cape in South Africa. * Pray for workers who can care for their spiritual and material needs. * As most welfare programs care for the black people, those Cape Malay who need welfare are not really cared for. Pray for programs that build up economical power to help the poor. * Pray for the Christians in the respective areas who need training and encouragement to reach out to their Muslim neighbors. * The Muslims need to hear the gospel in a relative way. To some degree there is an awareness of the gospel, but in a complete irrelevant way so they can't respond. Pray that the Cape Malay may have a gospel presentation that touches their lives. * The very few converts that do exist need protection from angry family members. Pray for protection and for encouragement within the church.